If you think an alkalizing meal must include mountainous piles of greens and vegetables heaped on a plate, you absolutely must read today’s post. I’ll show you how you can get creative in the kitchen and whip up 100% alkalizing dishes that go beyond just veggies and salads. And an added bonus is that they contain complete vegetarian protein, so they substitute acidifying animal protein. Plus they’re easy to prepare, and are nutrient- and calorie-dense. These three mouth-watering dishes are the perfect way to balance your meal’s pH while adding healthy protein and variety to your bone-rejuvenating diet. Just What’s In These Recipes? Today’s recipes have two ingredients in common: quinoa and lima beans. Together, they have complementary amino acids, forming what’s known as a complete protein (more about that later). Lima beans are a an alkalizing Foundation Food, since they contain many Foundation Supplements, including calcium, magnesium, B vitamins, and Vitamin K. Quinoa is protein-rich, alkalizing and gluten-free, and it’s great at adding texture and a nutty flavor to a large variety of dishes. In two of the recipes, you’ll also find tomatoes – an excellent source of bone-healthy lycopene, a powerful antioxidant that accounts for tomatoes’ red color and prevents oxidative damage to bones. And the tomatoes are cooked to make the lycopene more bioavailable, especially when they are cooked in olive oil. All Of The Ingredients Are 100% Alkalizing! It’s been scientifically proven in many studies, including a large meta-analysis, that a diet rich in alkalizing foods does in fact rejuvenate bones and prevent osteoporosis1. So it’s great news for Savers that protein can be alkalizing and delicious. If you are following the Osteoporosis Reversal Program, then you know that protein (especially animal protein) is not emphasized. In Chapter 8, the Program explains the “protein myth,” and describes how proteins are built from amino acids found in a variety of foods, and why you don’t have to focus too much on getting large amounts of complete protein every day. That’s what we’re “building” here with these recipes – using food combinations that contain all the amino acids to get complete proteins. In fact, just about all foods contain amino acids, which are “incomplete” proteins; but only some foods have all the amino acids that make up a complete protein, and most of those are animal-based and acidifying. With today’s recipes, you’ll be combining vegetarian sources of amino acids to obtain all the protein “building blocks” your body needs. You see, protein is important in a bone-building diet, especially because of its role in building muscle. Strong muscles are crucial for building strong bones, because weak muscles can’t exert an appropriate amount of stress on your skeleton to stimulate bone growth (as per Wolff’s Law). Protein consumption, especially if eaten throughout the day rather than once a day, gives muscles what they need to get stronger. In a large saucepan, heat 1 tablespoon olive oil over medium heat and sauté the onion until soft. Add the quinoa, carrots, 1 cup broth, tomatoes, salt, pepper, and parsley. Bring to a boil, then simmer until quinoa is tender, 12 to 15 minutes. Stir in beans and cook for about 5 more minutes. You can add more vegetable broth to reach desired consistency. In a medium pot, bring water, quinoa, garlic powder and 1 teaspoon fresh basil (or ½ teaspoon dried) to a boil. Cover and simmer for 15 minutes or until quinoa is fully cooked. Let stand uncovered for 10 minutes. Mash about 3/4 of the lima beans, leaving the rest whole. In a large bowl, mix well the quinoa, onion, red pepper, green peas, 2 teaspoons basil, and lemon juice. Add in the flour- water mixture and mix well. Sprinkle salt and pepper to taste. Then mix in the lima beans. Divide mixture into 4 patties, about 1/2 inch thick, and place on greased pan or cookie sheet. Cook in oven for 30 minutes, turning once after 15 minutes. To reduce cooking time, you can use a skillet. Heat the oil and cook the patties about 4 to 5 minutes on each side. Scoop out the seeds and flesh of the tomatoes and set aside. Place tomato “cups” on a baking sheet and drizzle 2 tablespoons of olive oil over them, then ¼ teaspoon each of salt (optional) and pepper. Roast for 12-15 minutes, just until tomatoes are juicy and soft. Make sure you don’t over-roast. While the tomatoes are in the oven, use a fork to mash the quinoa, lima beans, and avocado in a large bowl. Mix in the remaining olive oil, salt and pepper, and basil. Mash and mix well. When the tomatoes are ready, gently spoon the mixture into the tomato cups and sprinkle them with sesame or sunflower seeds. Bake for another 5-8 minutes until mixture is warm. Sometimes, nutritional programs and dietary approaches to healing are envisioned as boring, repetitive meals. Not so with the Osteoporosis Reversal Program and its companion cookbook, Bone Appétit! That’s why I created Bone Appétit: to bring lots of bone-smart, creative and delicious dishes to your table. Building strong bones with proper nutrition should be enjoyable and not complicated. And discovering how to use a variety of Foundation Foods in creative ways helps you stay on track with ease and without sacrificing taste. Also, creative recipes make the nutritional Program even more customizable. For example, the above recipes are excellent if you find it challenging to maintain your weight or if you lead an active lifestyle, and would like to pack in a good amount of nutrient-rich calories. So enjoy these bone-nourishing recipes, and feel free to share your cooking experiences with the community by leaving a comment below. 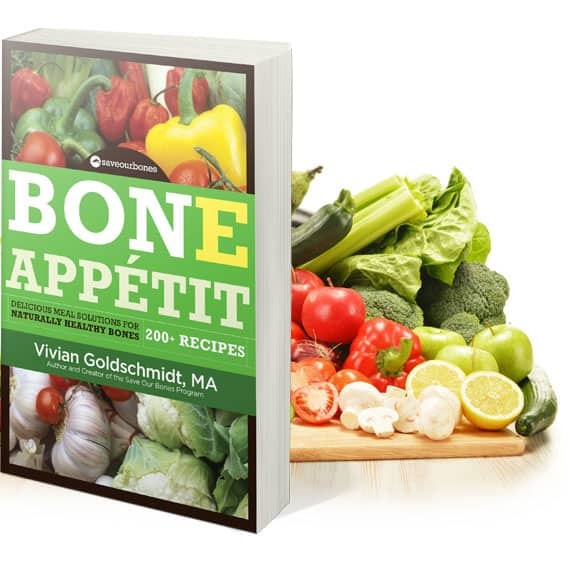 Discover over 200 mouth-watering bone healthy recipes for breakfast, smoothies, appetizers, soups, salads, vegetarian dishes, fish, main courses and even desserts! Do you know why some docs and nutrition books say all cooked foods are acid forming ? Two things. As a half century vegetarian, I’ve found many ways to get enough protein. Quinoa has only 8 grams of protein per cup. That’s a lot of calories for not much protein. Not enough for a main meal. Your recipes need more protein. Second, onions are an allergen and can be an inflammatory food. Please de-emphasize onions, which are a major ingredient in two of your three recipes. Thank you for actually give us recipes that do not contain nuts or seeds of any kind. A good majority of vegan recipes contain these ingredients. I can leave out the onion and peppers as I am allergic but can still make the recipe. Do you have any guidelines on what constitutes ‘moderate’ consumption of meat? ‘Times per week’ is all I’ve seen, elsewhere and seems a bit fuzzy; I tend to use meat as a component of a dish, rather than the centre of a meal. Dear Vivian- A follow up regarding a meat replacement product. Since you answered my above concern about soy meat burgers such as Boca etc. I have found another company that is vegan, certified non gmo, and has good taste. It is made out of fermented organic tofu. You must watch the salt content-for it is rather high-but just eat alittle less. They have italian sausage, deli lunch meat type slices and others-available at the health food stores but also at Kroger for less cost. Hope this helps others that are looking. Good day, Jan. 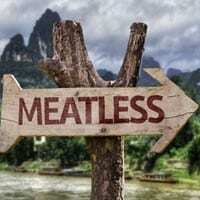 Most meat replacement “burgers” and such are soy-based, and soy is not recommended on the Program. Nearly all soy crops are genetically modified. Vivian, Please tell me if frozen foods are acidic? Thanks Vivian … but one question re quinoa which comes in different colours. What do you recommend please. Hi Vivian, I was so happy that you told us previously about Lima beans. They are my husbands favorite and we have them frequently. A salad can be made with frozen green lima beans and artichoke hearts also. I am going to try your three recipes as they sound good. The medication called Zoledronic acid would you recommend one dose for osteoporosis? I am 86 years old. I hope you enjoy the recipes! 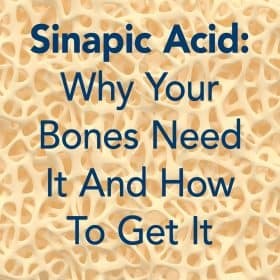 As far as Zoledronic acid (Reclast) goes, I do not recommend it or any osteoporosis drug. The Osteoporosis Reversal Program is all about reversing osteoporosis without them. 🙂 Feel free to search this site for more information on Zoledronic acid – just type the name of the drug (or any other topic of interest) into the Search box at the top of the page. I agree with Sunny on April 13. 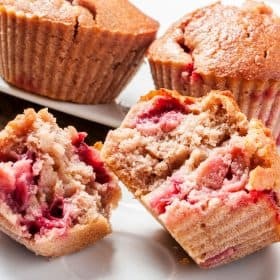 Is there any way you can send your recipes without all the other stuff, perhaps on a separate page. Really look forward to trying these recipes knew there was a reason why I have always liked lima beans and incorporating quinoa with other things would be a great help. I have been enjoying the teas you mentioned and feeling lots better. I always look forward to your weekly exercise tips and food recommendations. Is there away I can print your recipes and exercises with out wasting the ink and paper on the other information. Thank you for giving this your attention. Can you try clicking and pasting to another document? You could try clicking on the print icon on the sidebar, and save to your computer as a pdf. Then you can choose which pages you want to print. Hope this helps. We only have canned lima beans here in south Africa – if you can find them! Are butter beans lima beans, as we can get plenty of those dry! Thanks so much Vivian for all your hard work. 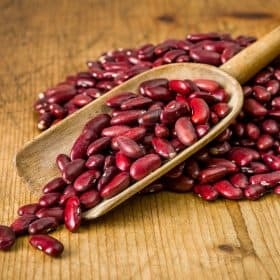 Butter beans are considered another name for lima beans, but it varies somewhat depending on what region of the world you’re in. 🙂 In the southern part of the Untied States, butter beans are considered different, and are slightly larger and softer. But their nutritional profile is essentially the same. I see someone mentioned butter beans, I was going to ask if you could use those instead of lima beans, are they the same? One recipe calls for cooked quinoa, is it uncooked in the other two? The hearty stew recipe says to saute’ in olive oil until soft. Saute’ what? I’m assuming it’s the onion. Kale is a green (requires more cooking time than spinach or mustard greens), so one could use any mild green. Quinoa is a seed from South America that is high in protein and mildly alkaline. It cooks similar to white rice, except it requires soaking and rinsing beforehand to remove a bitter outer coating. I’m not sure what you would want to use to substitute for that, but I suppose a kind of rice and lentil mix? I’m not sure what that would do with the nutritional profile. Very useful recipes indeed. Could some one help clarify about the alkalinity of cooked tomatoes? I have read that cooked tomatoes are acidic but raw are alkaline. I have read that while tomatoes and lemons are acid (technically speaking) they leave an alkaline ash so they are really considered to be alkaline forming. According to the Program, both cooked and raw tomatoes are alkalizing. A big thanks for these recipes Vivian. I know that quinoa is alkaline and so nutritious but I’m not keen on the taste of it on its own. But I really like lima beans (we call them butter beans in England) so I am looking forward to combining the quinoa and beans, I hadn’t thought of that. I like the idea of mixing avocado in the stuffed tomatoes as well since try as I might I cannot stomach avocado on its own. Plus I am vegetarian (except for some occasional fish) so these recipes are great for me. Just lately I’ve been making buckwheat pancakes (alkaline), just made from buckwheat flour, water, herb salt, bicarbonate of soda and either yoghurt or kefir (which I make myself). I could have the burgers with those and some salad. Thanks Vivian. These recipes look interesting. Do you use canned or dry lima beans? I hope they are not too time consuming. Have a great day. These look lovely, delicious recipes – thank you so much especially the lima bean info. which I didn’t know about. You are most welcome, Zarayna!